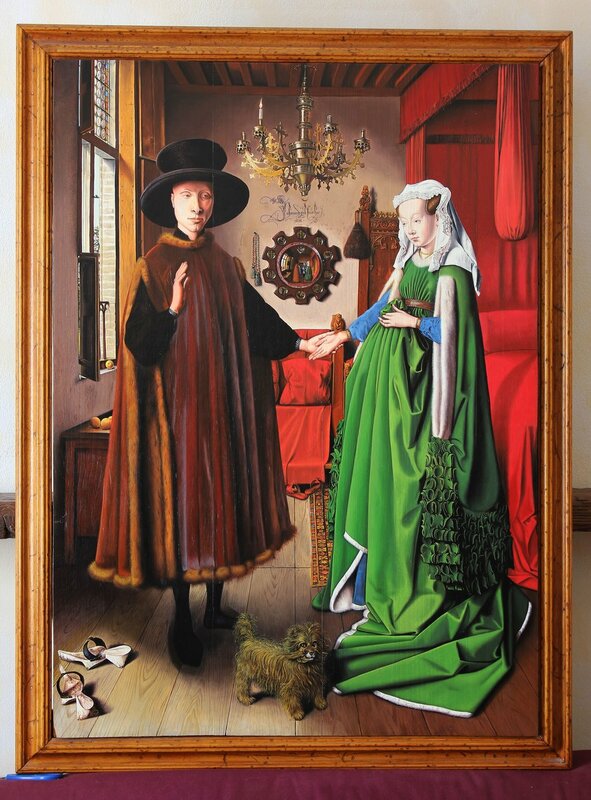 This is the mysterious painting named the Arnolfini Marriage. 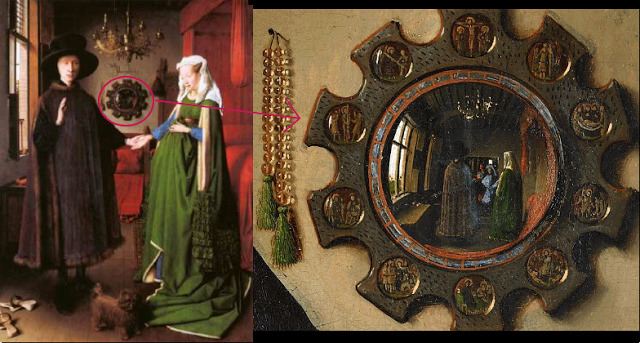 Painted in Bruges, Belgium, in 1434, by Dutch artist Johannes van Eyck. Ahead of its time, Johannes painted a realistic portrait of a 15th-century couple. He used a prototype model of a camera obscura to paint realistically. It may look like a simple yet realistic painting but the longer you look at it, and analyze the details, you'll find mysteries and symbolism around the portrait. 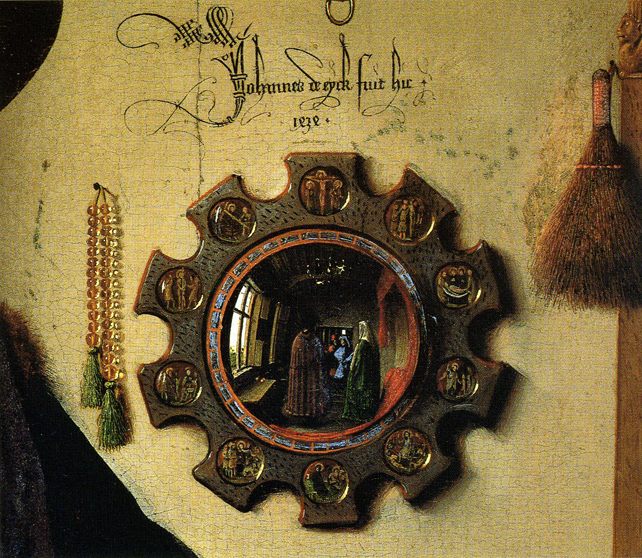 There is a sentence written above the mirror it says “Johannes van Eyck was here, 1434”. This is the most noticeable in the background. But there are many objects in the painting that are more mysterious. This symbolism is Christian or Catholic in nature. The list below will serve as your guide to decipher the mysteries and make sense of the religious symbolism. The mirror in the background might be a symbol of the Divine Providence. God is symbolized as the eye that watches over the couple in their marriage. The small pictures around the mirror are the Stations of The Cross and symbolizes Jesus Christ's sacrifice. The man stands on the left at the place of the window. This symbolizes his affinity to the busy outside world as the sole provider of the family. There is a statue of St. Margaret located at the bedpost, St. Margaret is the Patron Saint of Childbirth.